…And then made another comeback! I didn’t wind up seeing him that weekend and by the time this weekend rolled around I realized I was missing him and asked if he was free. “Probably tonight and maybe Sunday” meant he had a date Saturday. Since the second date I’ve been encouraging him to keep dating other women because I wanted to keep dating other people as well. I went with Friday night and suggested a bar. We grabbed a couch and had a couple of drinks. He got my first drink and I got my second. I recently watched this video and found the “I know a date’s going well when…” segment popped into my mind a couple of times: When we discussed how cold it was and I touched his hand, “Feel how cold my fingers are!” -And by the end of the night I noticed how close we were sitting together, legs against one another and his hand on my jeans. We had a decent buzz, but it wasn’t like the overdrinking on the other date. It was fun. We told each other the jokes we’d say if either of us ever decided we had the guts to do stand-up comedy and talked about our oddest sexual encounters with others. At one point he wanted to show me something in his phone, looking down at the screen he kept saying to himself, “Missed call? Who called me? Why do I have a missed call? Who would call me now? !” I couldn’t help myself, “Probably the date you’re going on tomorrow night,” I teased. He said it wasn’t her. Yeah, I was right he had a date. That’s when it hit me, I was starting to get a little jealous and I don’t feel that way unless I like someone. We walked to the train and hesitated about which train to get on –do we take our separate trains or were we sharing someone’s? “Uh, you’re not inviting me back to your place tonight are you?” he asked. “Well, like I was telling you before I have to wake up at 8am and…” He cut me off nodding and agreeing he already had known that wasn’t the deal that night, and said he’d just kiss me instead. We kissed and the “meh” kiss I was expecting disappeared. I pulled him back and kissed him again, and then once more. He kind of laughed. Then I headed to my train. We could still see each other across the platform. I put my glasses on so he wouldn’t be such a blur. I had this stupid smile and kind of twisted the toe of one of my boots around on the ground. I didn’t realize it was this embarrassed-flirty sort of movement I was doing until I noticed a woman smiling at me doing this as I watched the guy across the platform. His train arrived first and as he headed over to it I watched him, “He waved! He waved! Yes! He waved! Oh no he’s getting on the train now, quick wave back, did he see you wave back? !” I think I kinda sorta like him a bit. 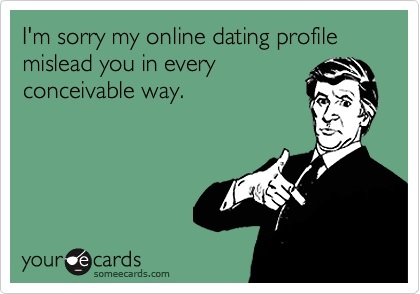 It seems my declaration for not being able to date multiple people at once has gone out the window. 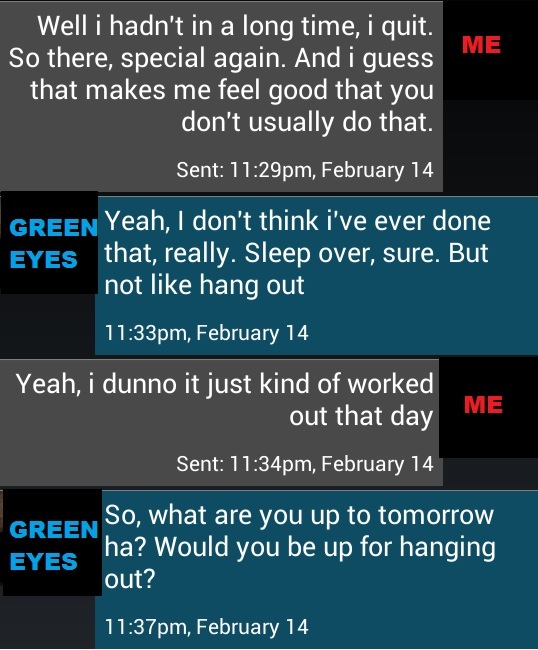 There was another text from my hook-up buddy I’m not exactly ignoring, and a second date request from…Well, let’s call him Blue-ish Eyes from this post. 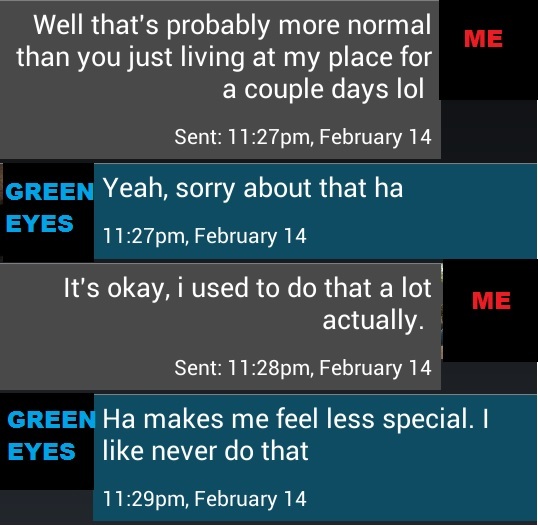 Green Eyes and I are also still talking. The other night he mentioned having gone on a date with a woman he wasn’t sure if he would see again. 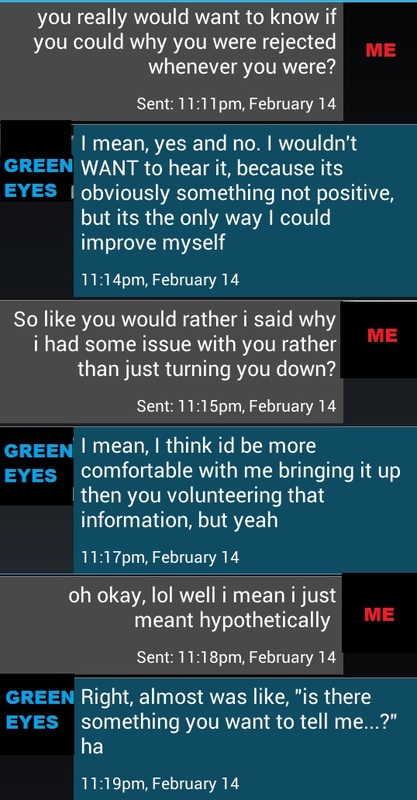 Even though I’d encouraged him to continue dating other women because we’re nowhere near anything exclusive, it suddenly felt competitive and it was no accident I revealed my upcoming date with Blue-ish Eyes to him. Part of me thinks he caught on to the game. 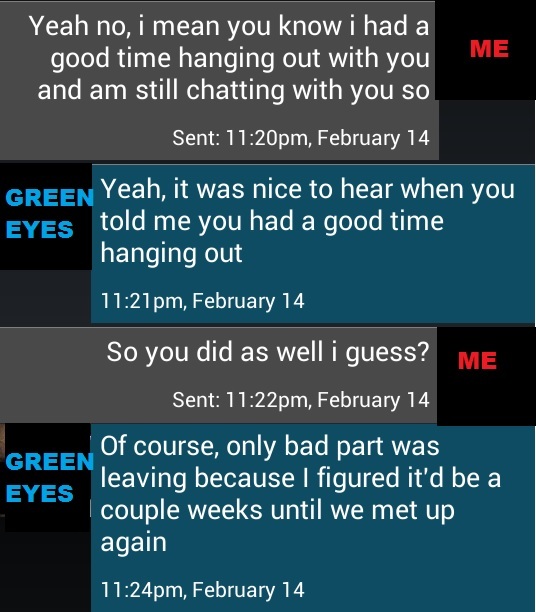 Shortly after he said he was thinking about asking to see if I was around that weekend but apparently he’d have to “wait in line.” On top of it all, you’ll never believe that as of last night, Clingy Guy is back in the picture after all these years, obsessively clicking on my dating site profile every half hour again! Of course, I no longer have patience for his creepiness and do plan on blocking him after the first message I receive. Last night was my second date with Blue-ish Eyes, but I wound up working late. I rushed home to change my clothes and ran to the train. My go-to second-date-outfit was still in the laundry since it wasn’t that long ago I’d seen Green Eyes, and I’d quickly grabbed something else. 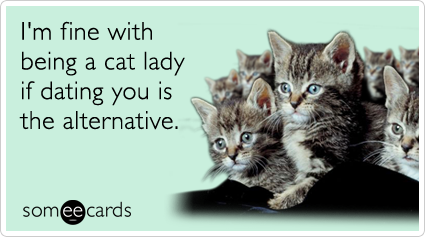 I still wound up keeping him waiting 45 minutes and I had been 15 minutes late after getting lost on our first date. It’s unsettling for me because I’ve never really been late to anything. Any of my friends, employers, teachers, or nearly any other date I’ve been on will tell you the same, but by coincidence the only two times he’s met me, I was late, and he wasn’t thrilled about it. I tried to explain that this was some freak thing that never happens and sort of got this “yeah, sure” attitude back. “Two for two” he said. As much as I don’t like when people are late, I guess the fact that he wasn’t more understanding turned me off a bit. The next thing that went wrong about this night was that in my rushing to meet him, I’d skipped dinner, heading straight to the two-drink minimum comedy show he’d purchased tickets for. The first glass of wine in I whispered that I was accidentally drunk but would try to pretend I was sober. He laughed. I had trouble paying attention to the show after the second glass. Again he didn’t turn down my offer of splitting the bill. 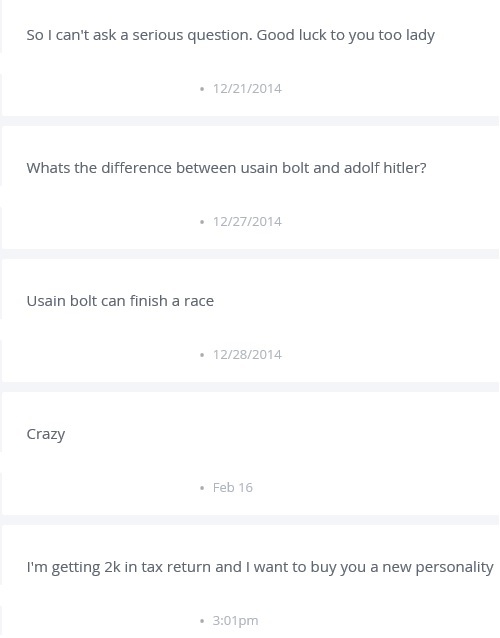 Again, I mentally swiped points away from him. I guess I just like to see that someone is willing to treat me to dinners, shows, drinks, and after that’s established, I’m open to treating them. When we left the show, I insisted on dinner at a fast-food restaurant. It always seems like a great idea when you’re not sober. Blue-ish Eyes reminded me of a guy I once dated when I was fifteen years old. I’d noticed it the first time we met and mostly brushed it off, but on our walk I realized there were more similarities and it wasn’t necessarily a positive realization. I made a fool of myself at the restaurant. I guess you just look worse when alcohol’s affected you more than your date, as well. It was late and they were getting ready to close, pushing tables together to mop under them. After returning from the restroom, I’d forgotten my way around the maze of blocked off tables, and found myself squeezing through two that had been pushed together. “Miss, what are you doing? !” a worker cleaning the area asked me. “I’m sorry, I just couldn’t find another path!” I told her, knocking over her mop as I climbed over her cleaning supplies. 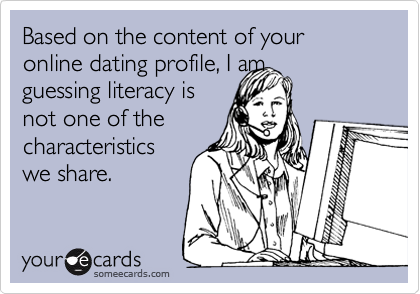 Upon reaching our table, the group of guys at the table next to us were singing the opening song for the MadTV skit “Lowered Expectations” about the video dating service offering bad dates. Any chance it wasn’t about me? Embarrassed I asked my date if we could leave. Walking to the train he said that going to a comedy show and then just heading home was probably a mistake because it didn’t allow for us to get to know each other well. I guess I figured we should talk, but I quickly steered the conversation to a topic that made him go silent. Literally, just long pauses of silence while he starred at the ground followed my questions. He threw them back at me, and being pretty open I had no trouble sharing my own personal stories, but in the middle of one, my train came. So, there was a quick, extremely awkward hug goodbye and the abrupt end of the date. -I did get a “Remember to drink a lot of water” text from him when I got home. I guess he cares? Well, that didn’t go so well. Perhaps I could blame it on being Friday The Thirteenth. He did get some points for noticing the design I did on my nails, which Green Eyes didn’t notice, but, knowing that he’s not very open seems to have put me at ease about not meeting him for a third date. On the train home, I texted Green Eyes. I asked if he’d ever accidentally been drunker than a date. He asked if I was talking about me or my date that night. “I’m texting you at midnight about my date, what do you think?” I answered. 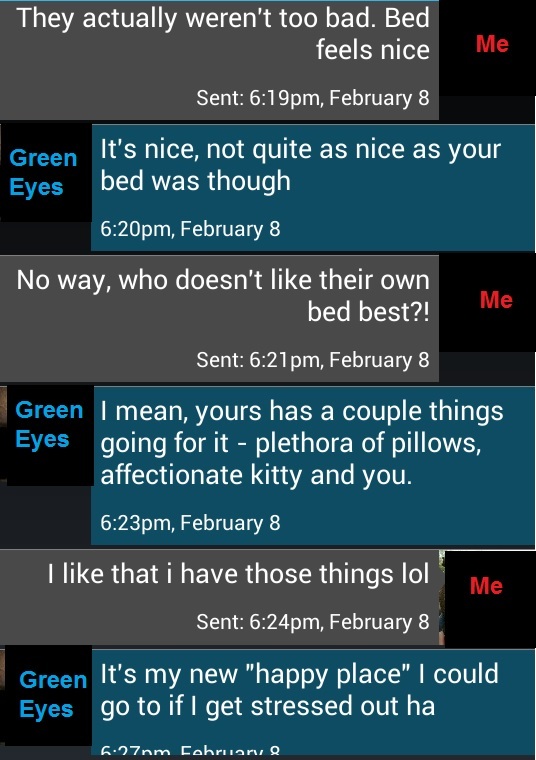 I think I’m still going to give Green Eyes a shot at a third date. 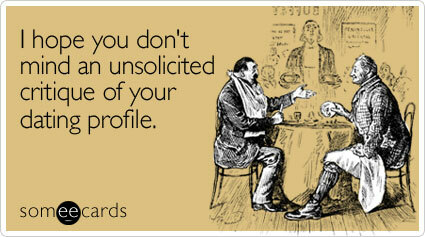 PS- That’s right, I actually forgot it was Valentines Day today, and really couldn’t care less. There is a reason they aren’t facing the camera. There is a reason they don’t have any pictures that weren’t taken from a far. There is a reason their picture is in black and white. There is a reason they’re in sunglasses. There is a reason her picture was taken at a downward angle. There is a reason he has a hat on. There is a reason they skipped that question. There is a reason their pictures are from five to ten years ago. We both laughed it off. I got to the bar early and skimmed the cocktails menu. Set on a drink I wanted, I stalled on ordering in case he was planning on treating me. I told him I was a lightweight and didn’t want to drink much before he arrived. That’s true, but it wasn’t why I didn’t order my drink. He paid and we chatted. We probably said more than we should’ve and definitely drank more than we should’ve. Towards the end of the date I found myself offering to pay for some of his drinks and my own. I didn’t feel negatively about it, it just felt fair. It must have already been the next morning when we were leaving the bar. He walked me to the train and mentioned something about coming back to my place. I had a good buzz going, but I do clearly remember my exact answer: “Oh. Um. Well, if you don’t tell me what time it is, so I don’t know how late it is, okay, yeah I guess you could come by.” So, we headed back to my place. You know how some movies cut to a black screen right before some bedroom scene begins? That’s kind of what I’m going to do here. If it wasn’t already a given, the next morning we were both feeling pretty sick. I woke up at 9am and rummaged around for an extra toothbrush to leave him in the bathroom before getting back into bed. I glanced over at him and replayed the night in my mind, trying to finalize my opinion of him before any morning conversation began. He wasn’t exactly my type physically, but he was cute enough. The real deal-breaker was that he wasn’t a great kisser. It wasn’t horrible, but it was so “meh,” I really felt I could do without it. I’m not sure it’s something you can still improve when you’re nearing thirty either. 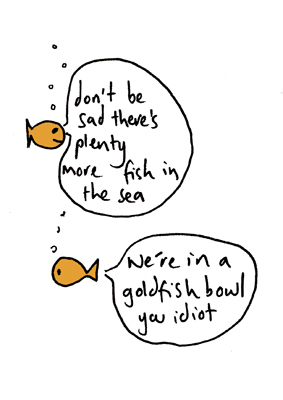 I couldn’t stop picturing that he must have looked like a goldfish smacking their lips at the top of the water. If I see him again, I’ve got to say something or this will never work out. As awful as I think it would be to bring up, I kind of feel like it might not be so bad. We spent the entire morning and most of the afternoon in bed talking about…really just about everything. We went over each other’s past relationships, sexual experiences/likes/dislikes, getting over lost loves, funny stories, and shared other little anecdotes from each other’s lives. It was very honest and open. I liked that. I just smiled because I’d written this post about that before. Around the same time I’d received a message from the one-photo profile, I got a message from a two, semi-blurry-photos profile who had misread the genre of music I was into. He apparently missed the “not” in “I’m not into…” and messaged me talking about those kinds of bands. I was going to ignore the message only because it felt slightly awkward, but a day or two later realized that was silly and simply replied that he must’ve misread what I’d written and asked what else he was interested in. We wound up in a fun conversation with a lot of jokes going back and forth. It was simple conversation, very playful, fun and flirty. I started to feel like I was coming off a lot funnier than I may actually be in person, and began thinking it would be better if we met and cleared that up because I’d give any further false impression about me. Perhaps it was also just that we shared a similar sense of humor and would continue to find each other humorous in person after all. I was hesitant about meeting someone with blurry pictures, but after such fun conversation, I was still intrigued enough. The coffee date was more like a short lunch of sandwiches with tea. I’m pretty sure asking someone to get a coffee no longer necessarily means exactly that. This date was pretty unlike the date from the previous night. Appearance-wise he did have facial-hair opposed to being clean shaven, was slightly older than me while the other date was slightly younger, his family was of a different religion, he had lived in this area for longer, and just had a difference sort of lifestyle. He pulled out his credit card when I’d barely had a chance to offer to pay. Granted, the total was less than half the amount of the previous night’s dinner. The total meant nothing to me, but I knew I was giving him points with the gesture of paying. He seemed more fun, more interesting, and like he probably had a more similar sense of humor to me. 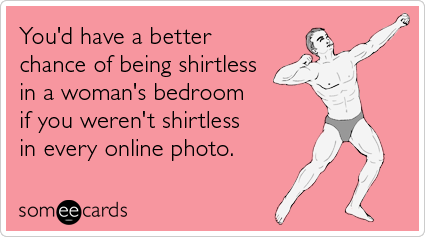 Still, I wasn’t sure about how attractive I found him either. I sort of rated him at a medium level. I suppose I’d see him again as well. Then it dawned on me that although at an early stage of things, I was dating two people at once, with plans of meeting more the following week. (There are two women I’ve exchanged numbers with who said they were free next weekend and would text me closer to then.) Immediately I began to panic about whether I could handle it. I felt like Phoebe on Friends in that episode where she’s dating two guys at once –I’ve recently been re-watching the entire series since it’s become available on NetFlix Watch Instantly. 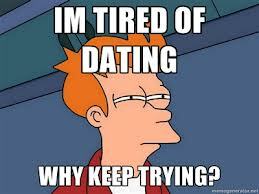 It felt very appropriate at this point in my life with all the dating that goes on in the show. I replied to one guy’s texts, “Yeah I had a good time too,” followed by answering the other guy’s text with my e-mail so he could send me some article he thought I might be interested in. I’m enjoying the contrast between the two dates, while remaining somewhat interested in both at the moment. I noticed that both of them texted me right as I was getting home, about an hour after the date, that they had a good time and were interested in seeing me again. It’s not the first time I’ve received a text that quickly after a date either. 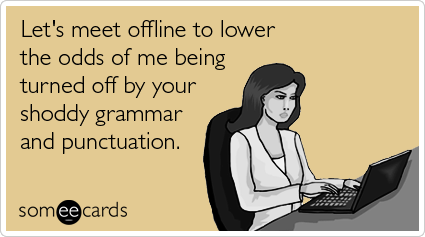 So, I’ve decided that waiting two-three days before calling rule is dead ever since textmessaging became popular, but I think texting the next day is also acceptable, especially after a late night out. I haven’t come up with nick names to keep track of them yet on this blog, but I’m sure I’ll have something to call them after the second date, provided we all get to that point. Hopefully things don’t go too well with both of them for long, so I won’t feel weird back-to-back dating the two of them, especially if I wind up kissing one of them goodnight. 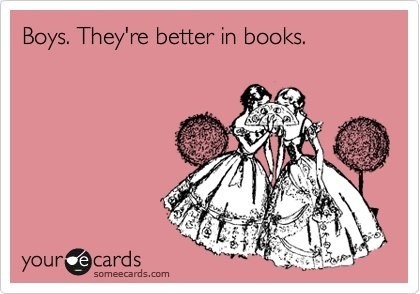 So far, I’ve only given both a friendly sort of goodbye hug. I think it’s all acceptable this early on, of course, but I’ll have to be upfront with them if anything progresses much further with either of them…or next week’s potential dates. Do you hear the nervousness behind this post from someone who’s never truly cheated on someone and doesn’t plan on starting? The second date texted me a sort of check-in, hope-my-day-at-work-wasn’t-too-bad kind of text. We had a bit of back and forth text conversation. It was nice. He won some more points on that. The only thing is, I notice myself getting more excited about the fact that there’s *someone* than over who it is. It’s more over, “aw, *someone* acceptable is interested in me!” and less “I’m excited about someone who’s interested in me!” I suppose that’s just sort of what happens after such a long stretch of singleness and no “somebody” to text little anecdotes about your day to…I guess it’s always nice to have that and another reason to temporarily forget the downside of dating/being in a relationship. I kind of sort of had scheduled five dates at once. I guess that’s partially my excuse for being busy and not posting here lately. 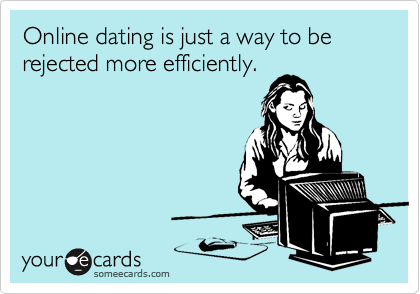 After cutting back on my dating site screening process, it’s become a little easier to get a date. I’m in a date-mood lately, although half way through them I still get that déjà vu feeling and realize I’m sitting across from someone, telling the same stories and asking the same questions again. I even have my go to first date and second date outfits that I seem to stick with. But lately, I’ve been enjoying checking out new bars and restaurants I get invited to after such a long hiatus from dating, so I kind of told five different people I was free this weekend. I figured some of them would bail and if I had to, I could pull it off or cancel on some. In the end, I was right. Most of them rescheduled for next weekend. I received a message from a profile with just one picture and barely any profile information the other day. Normally I’d be hesitant to reply, but I sensed sincerity and got back a lack of self confidence from him. There was a surprised inquiry about why I’d even answered him once I did. He seemed very plain. Smart, cute, but sort of dull. Safe. After only a couple of messages we exchanged numbers and he asked me to dinner. Honestly, when I got a “Hey, it’s so and so would you like to go to dinner” text I’d already forgotten about him, and thought “Who’s so and so?” I had to log back into the dating site to check. I sort of sighed and texted back that I’d go. 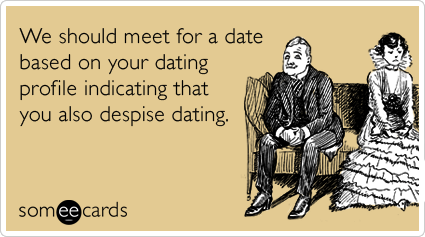 It took me about twenty minutes to decide if I actually felt like going on the date last night. I weighed my options since it was cold outside, but getting dinner when I didn’t have much to eat in my kitchen sounded good. I didn’t tell the date that I showed up because I was hungry. He seemed surprised that it was me when I said hello and I didn’t find out why. He looked exactly like his one and only photo. Again I felt a very non-intimidating vibe from him which I liked. Once on the topic of tattoos he wanted to know why I wasn’t surprised he didn’t have any and I explained my first impression of his innocence. He said that I might be surprised about him, but then a moment later added that I actually probably wasn’t that far off. The check came and I offered to split it. Without a moment of hesitation he agreed. I mentally removed some points from him. He did ask me to dinner and pick the place, but I also did pressure him into getting a drink with me when he rarely drinks. Later, it felt cheap of me to remove the points, and unlike what I feel would be equal and acceptable on a date, but I suppose I’ve started to get spoiled again letting others treat me to dinners/drinks on dates. We got along and I’d see him again, but he’s not the type of guy you get really excited about. I’m not sure I could picture myself too romantically involved with him, especially physically. On my way home I thought about texting one of the other potential dates I’d pushed off until next week. I remembered I hadn’t added his number to my phone contacts yet, and figured it might be too weird to go on two dates in one night. As I walked in my front door, he actually texted me and I prepared to head back out if he was interested in getting a drink. He had plans, but asked me out for coffee the next day. So, this was my back-to-back date weekend…Stay tuned to hear about the other date! Enter your email address below to follow this blog and receive notifications of new posts. Enter E-mail Above & Click Here To Follow! Like this blog & want to keep it going? Fund it! 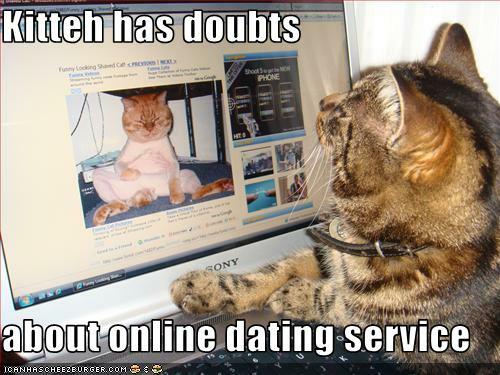 ★ The ''Best'' Dating Website Profile? ★ Should The Guy Pay On A Date? ★ Where Does Love Go? Should I have at least thanked him for the compliment? 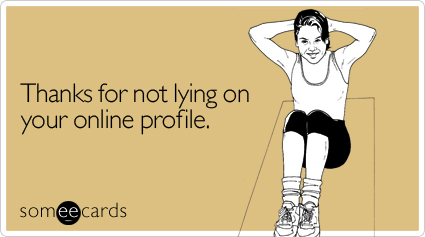 Online dating changed things. We're changing them back. 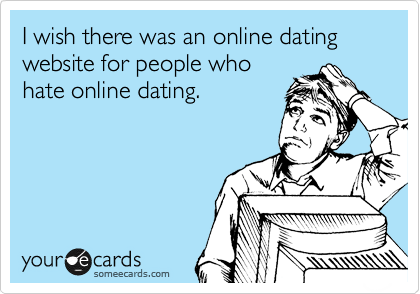 An Undateable Girl's Dating Blog. Learning to feed those I love the way my grandmother fed us. Eat something! Twenty Something... What is my Life? Questioning my sanity on a daily basis. Using Sarcasm as my crutch. All in one jewellerystore always keep in mind to the customers view with the precious, original & ensuring superlative quality with the modern techniques. - Why are you like this? I've got some things on my mind.